In this twenty-first century of business, we’ve come to expect that computerized technology will be the panacea for our problems. Well, the good news is that, in virtually every case, it is! Disorganized? There’s an Excel spreadsheet for that! Need information at your fingertips? There’s a Microsoft database for that! Company KPI reports are too sluggish? There’s an Excel dashboard for that! Your Big data became HUGE data? There is a Microsoft Power BI solution! The list goes on and on. Hence the need to understand how to effectively apply problem-solving with Microsoft Power BI. This post is “An Introduction to Practical Problem-Solving with Microsoft Power BI”. The first in a four-part series. However, these digital dreams might seem overblown simply because you don’t fully understand how to leverage software solutions to your enterprise’s advantage. With the full Microsoft suite of business applications, you’ve got every tool you need to maximize your efficiency and effectiveness. Our Excel Consultant experts are also Microsoft Power BI experts and they are here to teach you how to implement these instruments. With our support, digitally decoding your daily problems doesn’t have to be difficult. Even the most seemingly complex software applications can be made simple with our seasoned advice. Take, for example, Microsoft Power BI (Business Intelligence), this service at first seems complex. Yet, it could actually be the key to handling many of your daily hassles. That’s why we’ve devoted this series of four blog posts to teaching you how Microsoft Power BI can practically solve your company’s problems. In this first installment, we introduce Microsoft Power BI within Excel, providing a sampling of its applications. 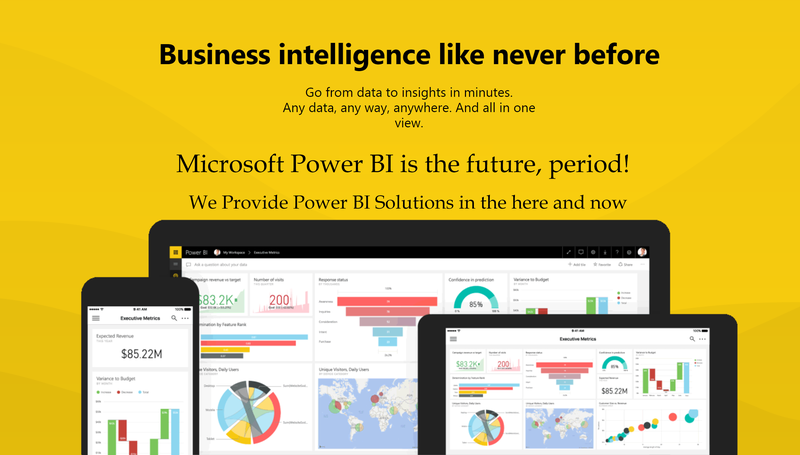 Power BI is Microsoft’s very own on-premise, cloud and mobile offering easily connecting to files, databases and online services for self managed business intelligence. Furthermore, Power BI not only is Azure hosted easily connecting to One Drive for Business, SharePoint, Power Apps and Microsoft Flow but also natively integrates with the Microsoft Office suite of applications. Practically speaking, in Microsoft’s own words, “Power BI is a suite of business analytics tools to analyze data and share insights.” Centered in the secure, streamlined power of cloud computing, Power BI allows you to access, interpret, implement, and communicate your company’s crucial information. These are just a few ways Power BI could be secret to solving all your problems. 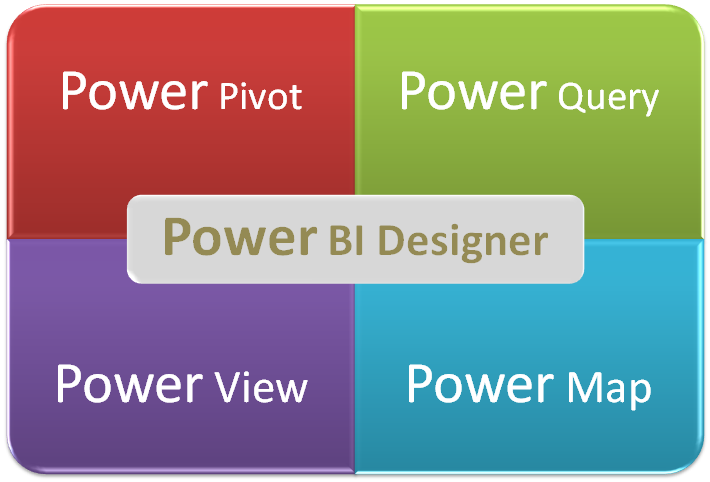 Read a previous blog post on Microsoft Power BI, ADVANTAGES OF MICROSOFT POWER BI. Simply put, our Microsoft maestros are Power BI pros. Even Microsoft itself brought us onboard multiple times to boost the company’s own internal Business Intelligence operations. 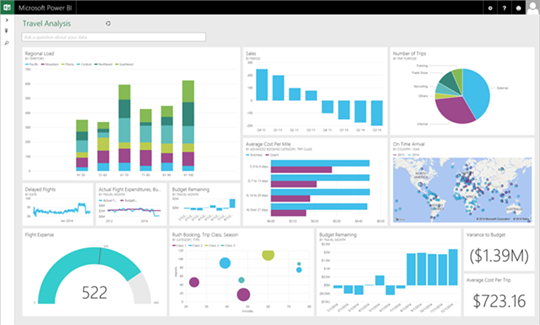 After helping Microsoft enhance and employ its own software, we’re here to help you make the most of Power BI. In addition to providing in-depth problem-solving guides throughout the next three blogs in this series, we can assist you with customized consulting, advanced programming options to boost your BI even further, Microsoft-certified training programs, a host of free help resources, and much more. We’re committed to helping our clients thrive by putting Microsoft applications to good use. Once you’ve got the digital toolbox, we believe you should use it to build an outstanding business. Would you like to learn more about Microsoft Power BI? Are you curious about what Excel Consultant could do for your business? Do you need some practical problem-solving tips for the digital age? Contact us today to find out more and schedule an appointment! Posted on October 27, 2017 Posted in Blog Category and tagged Excel Consultant, Tips, Programming, SQL, Business intelligence.